Double wheels! Double basket! Half the time! This heavy duty unit is still lightweight and easy to push. 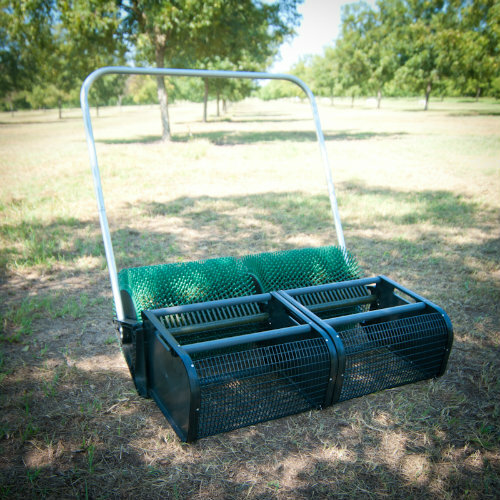 Convenient lift out baskets make collecting your nut harvest so simple. Just push the unit over your nuts and watch the magic finger technology grab the nuts and dumb them into one of the two collection baskets. Nut harvesting has never been so simple and so quick!